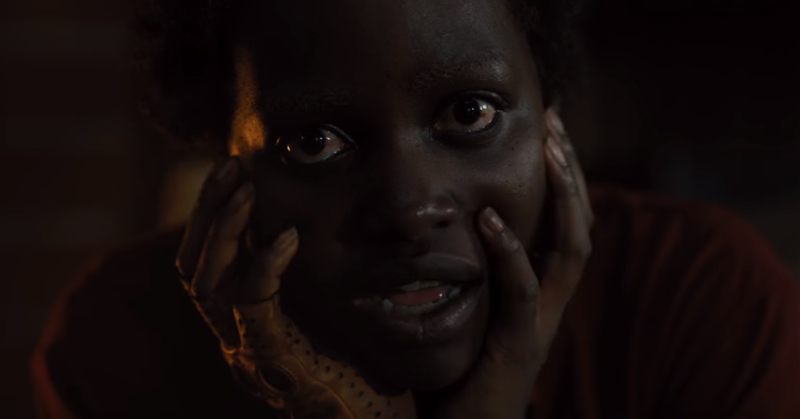 What’s Really Going On Inside of Jordan Peele’s Us? After Jordan Peele’s debut film, the critically acclaimed Get Out, many were wondering: how can he possibly top it? It’s not every day a fresh new voice – a minority one, at that – puts something as vibrant and real into the world as Get Out, and promptly goes on to win an Academy Award for it (Peele took home Best Original Screenplay for his debut feature). 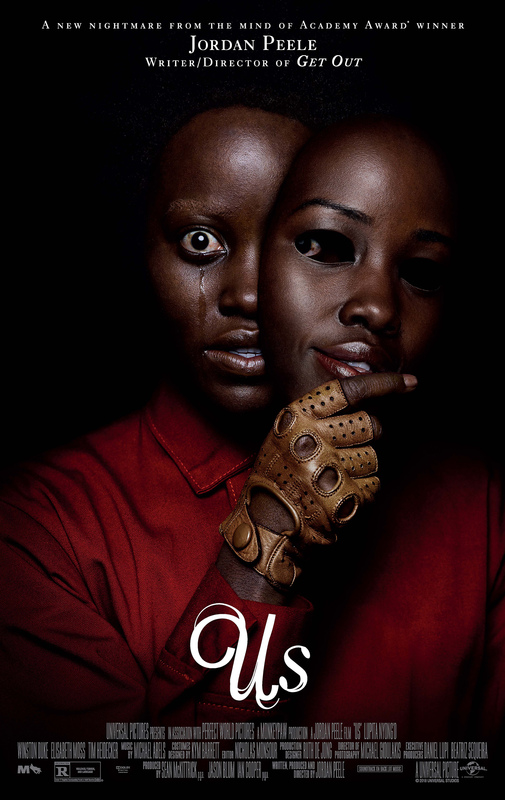 If nothing else, this film locks down the notion that Jordan Peele is one of the most exciting filmmakers working right now. He brings the ideas behind Us to life in a frightening, unnerving, entertaining way, which is wildly fun to experience in a theatre. I’m not entirely looking to review this movie here, because the short version is that the acting is phenomenal from everyone involved – especially Lupita Nyong’o, who is a generational talent and we are all better for having watched her on the big screen – and the horror comes in both small and large doses, so that you’re always left clenching the armrests of your theatre chairs. It all combines for an experience that’s both stressful and fun, and I can’t say more about going to see it in a movie theatre. However, as with Get Out, Us has some thought-provoking ideas at its core, ones that are begging to be let out into the light (some more literally than others, it would seem). Let’s dive into them – so from here on out, spoilers beware. The central theme of Us, if you’ve watched the above trailer, is the idea of doppelgangers coming from the unknown to take over our lives. They are – literally – us. They move, think, and can act like us, which of course is a terror all on its own. Our protagonists Adelaide and Gabe Wilson (Nyong’o and her Black Panther co-star Winston Duke) – along with children Zora and Jason – are vacationing in California when they run into their doppelgangers, led by the fearsome Red, Adelaide’s counterpart. As the proceedings unfold, we learn Adelaide had a horrific experience as a child, where she wandered away from her parents down the Santa Cruz boardwalk and ran into her double deep within a Hall of Mirrors-type amusement park ride. You’re initially led to believe it traumatized her as a child, but the truth is far more unsettling: Adelaide’s young double knocked her out, replaced her, and escaped into the ‘real world’, leaving the original trapped underground. That’s right: the Adelaide we’ve been following around as our protagonist is really the doppelganger, and Red is the original little girl from the beginning! While it’s a fantastic twist, it’s also foreshadowed expertly in both the movie’s trailer and initial poster – while the family snaps along to the beat of Luniz’s ‘I’ve Got Five On It’, ‘Adelaide’ snaps on the downbeat. The poster, meanwhile, shows us the duality of Adelaide/Red right in front of our eyes – both are such innocuous additions, but amazingly done nonetheless. My real interest, however, lies in the greater picture that Us presents to the viewer. The audience learns during the movie that Adelaide and her family are not the only ones to suffer this: doppelgangers all over America are springing up and killing their counterparts, bringing themselves into the light for the first time. The in-movie explanation is that the government figured out how to clone people, but sans the soul, and after an indeterminate period of time, abandoned their experiments below ground. The clones went mad, feral, and were as such until the human Red united them and created a plan – one that goes into action in front of our very eyes. To go back to Peele’s first feature, Get Out is an examination of race, within relationships, friendships, and how insidious the idea of racism really is – it truly terrified me, especially as someone who has been in an interracial relationship with a white woman. In that same vein, Us is an examination of poverty, and the struggle between classes, especially in America. The idea of poverty is treated via three groups of characters in Us: the lower class is represented by Red and the doppelgangers, the middle class by Adelaide, Gabe, and her kids, and the upper class by their wealthy vacationing friends, Kitty and Josh Tyler (Elisabeth Moss and Tim Heidecker). We see the differences between the Wilsons and the Tylers right away: Gabe has a small, beat-up old speed boat that struggles to go more than a couple of feet at a time, while Josh has a giant yacht complete with mini-bar. Gabe and co. live in a small cottage while Kitty and Tyler are in a sprawling glass mansion. The idea of moving from class to class in real life is a seductive one: we always think it’s just one job, one promotion, one lottery ticket away from moving from the middle class to the upper class, to become one of the 1%. However, for most in the middle class – i.e., for most moviegoers in North America, for example – it’s incredibly easy to overlook the lower class, the people who often struggle within the margins of life. Red and her doppelgangers represent these people, who live on the fringes of society, ignored and abandoned by those who created them. And yet: Adelaide, who we learn is a doppelganger herself, managed to escape. She managed to lift herself out of squalor and ‘make something of herself’. But when confronted with the idea of losing everything, she reverts to protection mode – she’ll do anything to avoid being dragged back down to the underground from whence she came. That, to me, is an incredibly powerful idea, because it’s such a real one: when you’re faced with losing everything after you’ve worked so hard to change your own circumstances, you’ll do pretty much anything to keep it that way, wouldn’t you? That idea is also reflected in the film again via the Hands Across America snippet – a real event that took place in 1986, members of various communities would come together on a single day and hold hands across the country to raise awareness about hunger, homelessness, and help those in poverty. According to the New York Times, the event raised $34 million, but only $15 million was handed out to people in need after ‘deducting operating costs’. The hypocrisy of the event is shown pretty clearly: it’s all well and good to hold hands to show your concern for these real issues, but after the event’s 15 minutes was up, everyone went back to their middle and upper-class lives and poverty continued – it certainly wasn’t eradicated in 1986. Red knows this: she lived it every day. As she is the original girl who lived in the real world, she was aware of the event, and uses it as the basis for her master plan: allow the doppelgangers to rise up and ‘hold hands across America’ to show who they are and what they’re capable of. There are a lot of other issues at play here within the brilliant workings of Us, certainly. Another look could be how Us is about your inner identity breaking free from its shackles, forcing its way into the light, while Get Out is about the complete opposite, submerging your identity so that it’s buried underneath what society wants it to be (if you’re interested in reading more, this is an absolutely fantastic take on the subject). Whether you agree with my reading or not, there’s no denying that Us is a breathtaking, stressful look at the realities that the world – and Western society – face today. 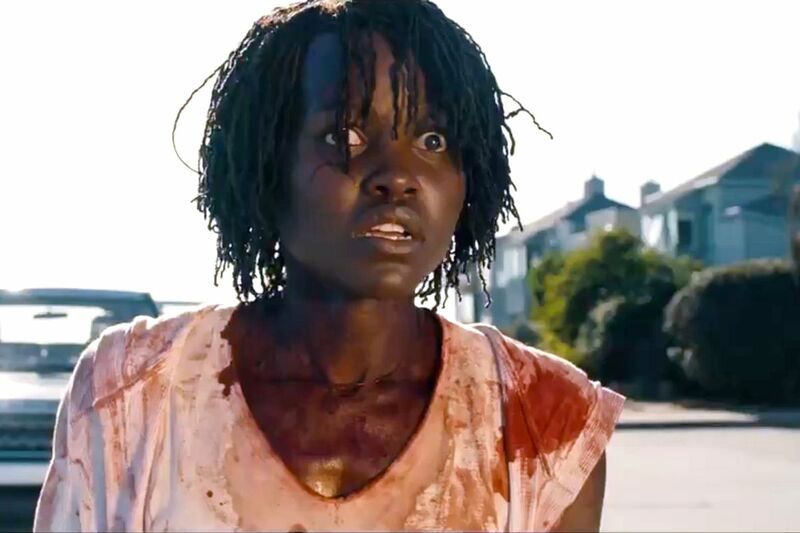 It’s a statement that things are not always quite as simple as they seem, and as Jordan Peele has emphatically stated, at the end of all things, our own worst enemy…is us. Us was released in theatres on March 22, 2019. You can find Sho on Twitter (@SNSAlli), where he’d love to chat with you about movies, video games, sports, and more!